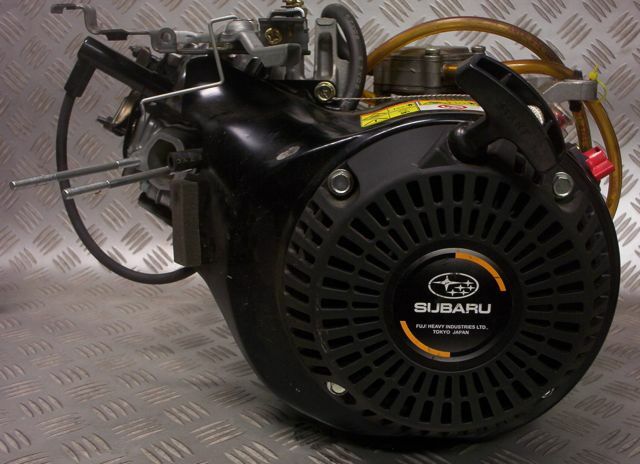 Fuji Heavy Industries Ltd the maker of SUBARU cars, has launched the SUBARU KX21 sports kart engine. 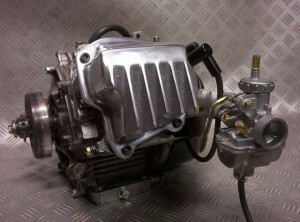 The single cylinder 4 stroke performance engine is designed for racing go karts and recreational go karts. 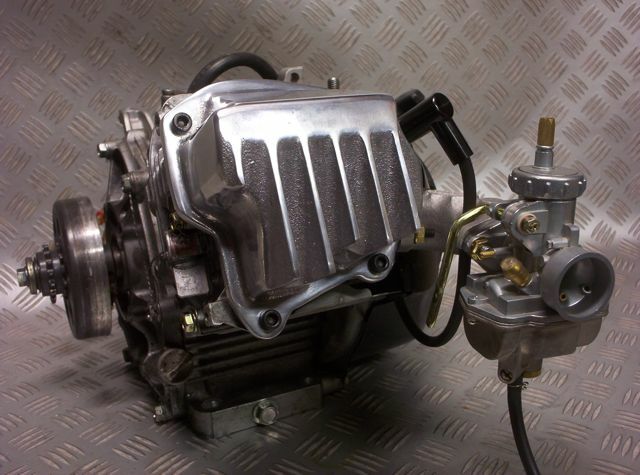 Based on the EX industrial/commercial air-cooled, four-cycle, OHC petrol engine made for general use, the KX21 is designed to deliver the high power and performance. The KX21 uses a modified combustion chamber to increase compression to 10:1. 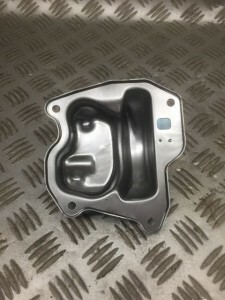 Additionally, the air intake system has been improved over standard and the ignition timing changed to increase horsepower output without compromising fuel economy or increasing exhaust emissions. 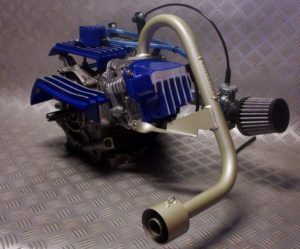 Although EX engines are also used in rental karts, the KX21 has been developed as a kart-specific engine, featuring high RPM and power output at levels that general-purpose engines cannot match. 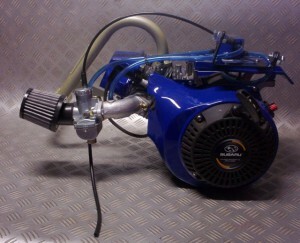 When mounted on a kart, the new lightweight engine provides agile handling and competitive driving performance. 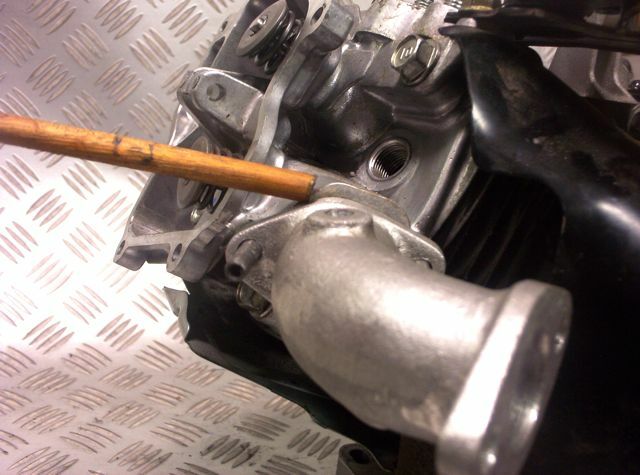 The KX21 is able to run from the lowest idle speed to the highest RPM of 5600rpm smoothly and easily. The Standard Subaru KX21 engine as delivered from Subaru. 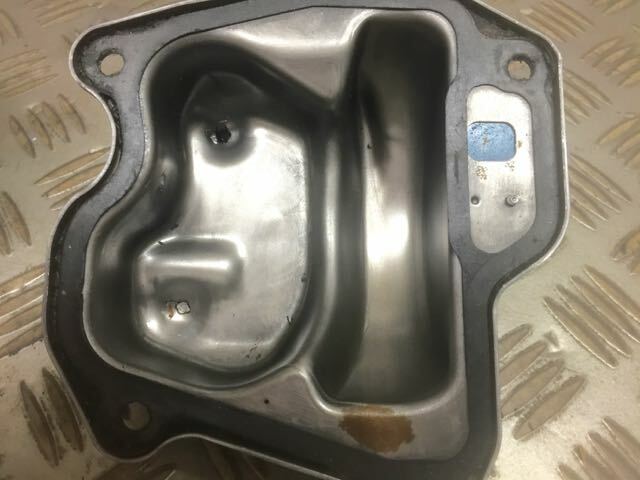 This is a racing engine and is covered by a limited manufacturers warranty. 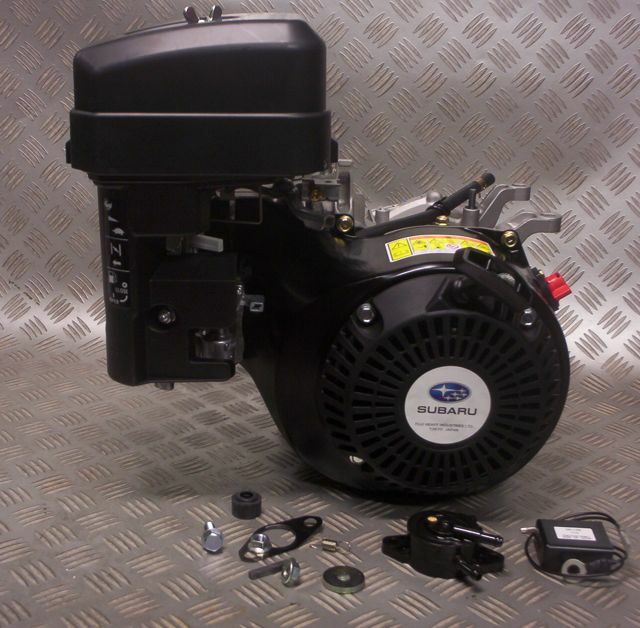 The KX21 is targeted at skilled adult and junior karters using rental karts as well as beginners who may own their own karts.SUBARU engines have earned a reputation for their quality, reliability and performance. The introduction of the KX21 for karting signifies the company’s step towards meeting demands for performance engines across all industries. In comparison with competitor’s models, the KX21 brings out higher performance with higher power at 9.2HP at 5600rpm and the KX21 is also remarkably lighter weighing only 15kg. 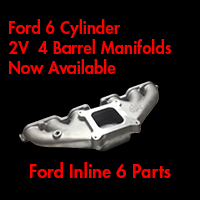 These advantages offer excellent driving and also lower fuel consumption. The Australian National Karting Council has now officially recognised the SUBARU KX21 karting engine as acceptable for recreational use. 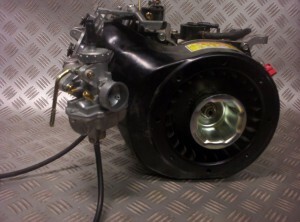 The Subaru KX21 uses many of the components from existing models within the Subaru / Robin engine range. 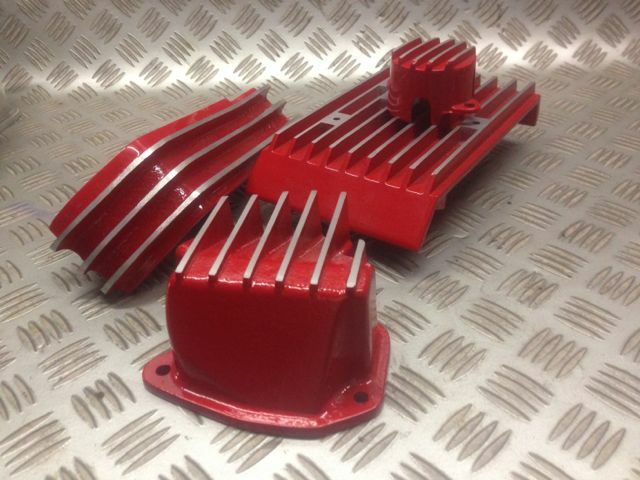 We have been asked how do we upgrade our EX21 to KX21 specs ? 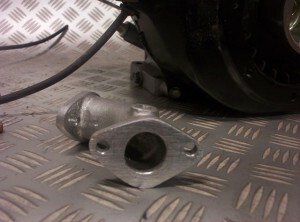 We have a list of parts that are used on the KX21 Subaru engine that help deliver the extra power over the EX21 engine. 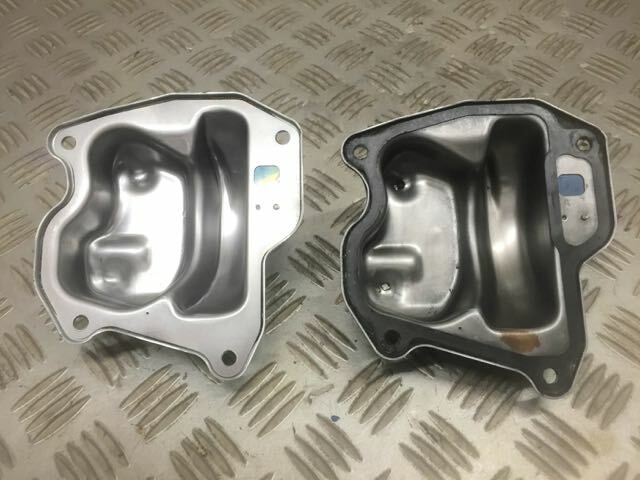 Cylinder head wise the reconfigured head used on the KX21 is a combination of a smaller combustion chamber to increase compression and an increased valve size on both inlet and exhaust valves. The inlet port is also larger on the KX21 and the camshaft even though it uses the same grind the KX21 camshaft mounts different in the cylinder head. The EX27 camshaft can be fitted but the larger tooth count on the timing gear drive side of the camshaft is larger and can play a significant role with up setting the valve timing. 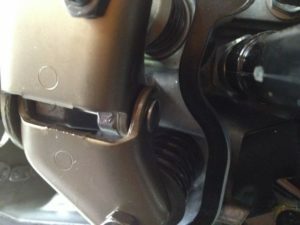 The standard valve springs used in the EX21 are also used in the KX21 with a shim type washer fitted to the spring seat to add a higher installed spring pressure to handle the higher RPM. 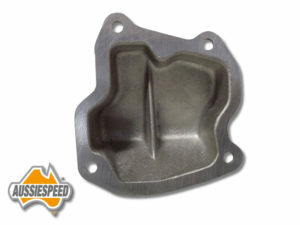 Carburettor wise the KX21 uses a larger carb with a larger fuel bowl and many internal differences related to fuel metering and delivery. 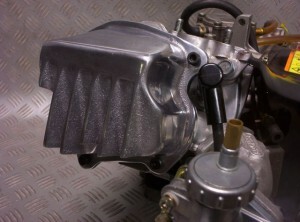 The air cleaner system is larger on the KX21 . 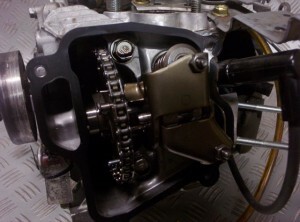 Crankshaft and ignition timing is an area that has been altered to bring the engine on song as ex21 and kx21 engines to not use the same flywheel key way position. 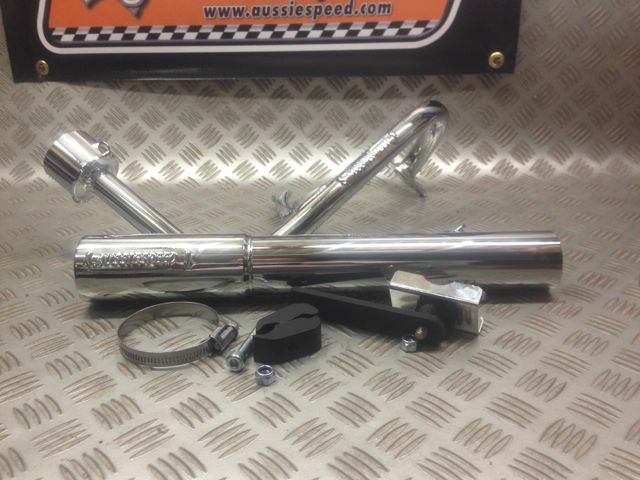 Subaru Aussiespeed competition header pipe & muffler box kit. This kit includes Aussiespeed low restriction high flow cannon style long muffler box & stepped header pipe inner extension,precision bent & fully welded header pipe with 1 mounting bracket,quick release header to muffler coupler.Pictured also is the Aussiespeed rear bumper exhaust support mount. 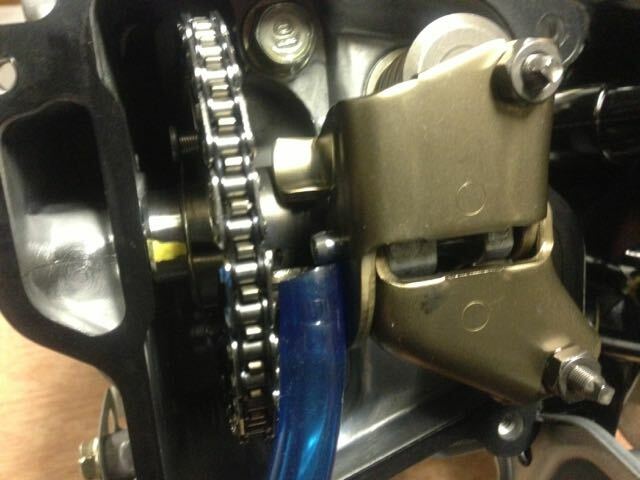 Below are some pictures of the Subaru KX21 gokart engine. 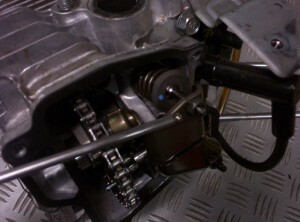 The chain driven overhead camshaft on the Subaru KX21 is pictured above. 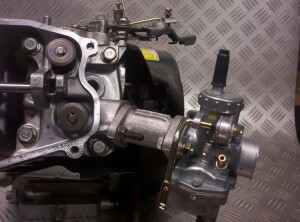 The Subaru KX21 engine does not use a traditional round or oval port. The port is similar in shape to the Honda GX & CNC ported World Formula head.The short turn radius under the combustion chamber of the Subaru is flat with only a very shallow angle. Pictured is a Subaru KX21 Go kart engine fitted with an AussieSpeed curved performance inlet manifold & Briggs & Stratton Animal round slide carburettor. alot of development goes into the design & development of any new product, the Aussiespeed as0282 inlet manifold shown above offers a machined anti reversion cylinder head port entry to increase velocity at lower camshaft lift. note the hole for fixing the carburetor to the intake manifold is not square. This is angled to assist with getting the carb to sit flat which makes the job of setting the float level easier.The problem with reversing the manifold so the carburettor faces the blower housing & is forward facing is the flange area. The valve lash or clearance on the KX21 needs to be set @ .015mm or .05″ to .06″ thousands of an inch. 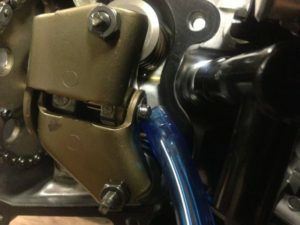 The blue pointer is showing the rocker arm pin used to hold the inlet and exhaust rockers on the cylinder head on the KX21 engine. There have been 3 lengths and 2 styles that we know of fitted to the KX21 engines. 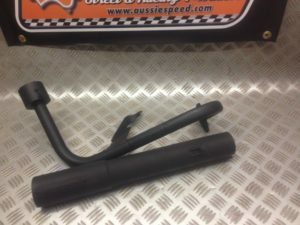 The style pictured uses the c clip style pin. 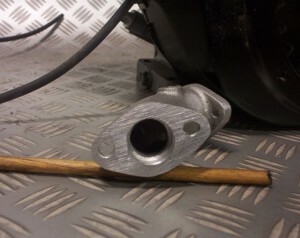 The second style rocker pin on the Subaru KX21 is the type with the mushroom head as pictured above. This picture shows how the pin slides out. It slides away from the camshaft and is held in place by the valve cover. Both pins shown, the mushroom pin you will see is shorter but it doesnt rely on the clip. 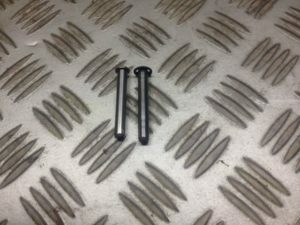 The C clip style pin doesnt have the solid head but is longer. When the pin moves out the longer length pin we think is better as it is still holding the intake and exhaust rockers in position. 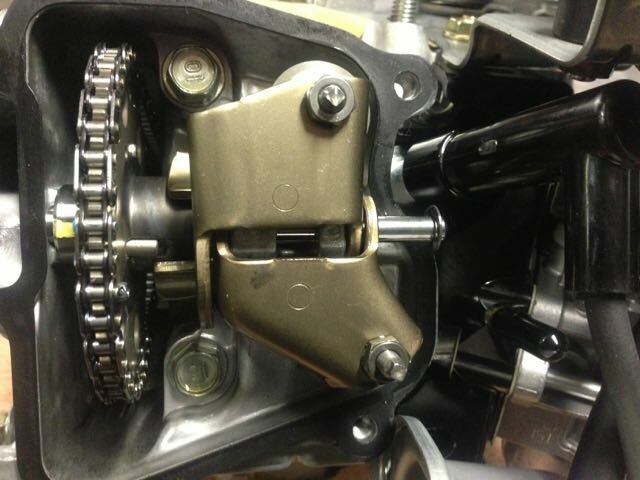 Remember it is the valve cover that holds the pin in position not the clip. 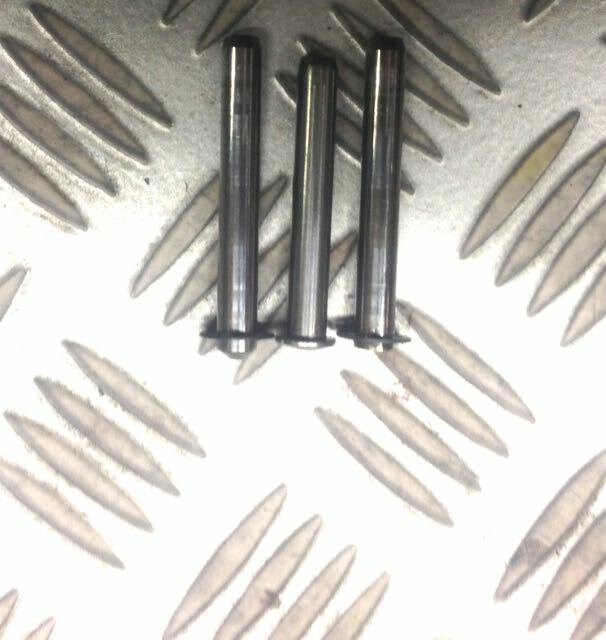 3 different length pins we have seen on some of the Subaru KX21 engines we have pulled down. 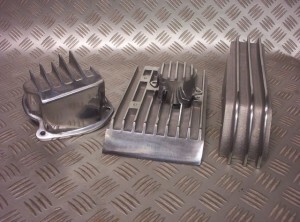 1 solid and 2 c clip type. the first one on the left is our choice with it being longer over all. 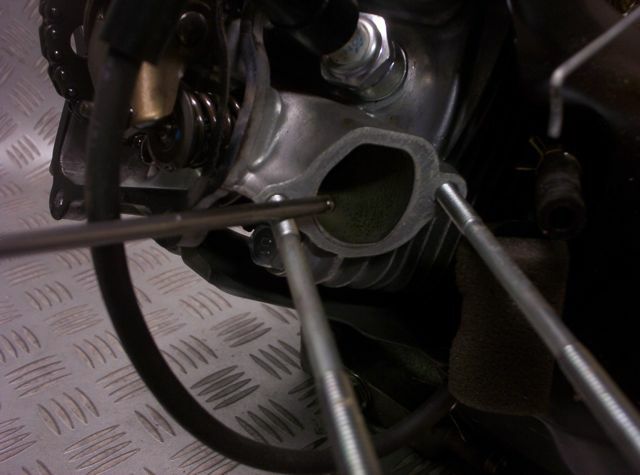 This is how it shouldnt look and is caused by weak valve springs and the engine being pushed to high in the RPM. 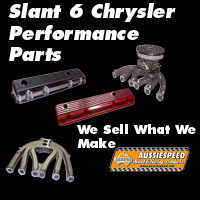 We sell Genuine Subaru Kart Sports Replacement Valve Train Components.